Make the most out of your trip to visit your loved one in prison. Like an onion, most topics have many layers to them. 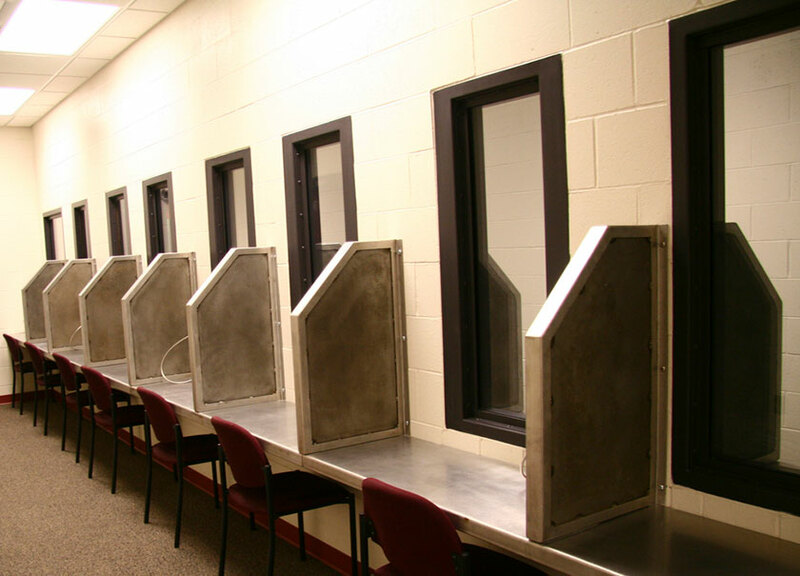 The subject of prison visitation is no exception. A series could be written on the various aspects of the visiting experience. Everything from transportation issues to entry procedures and back again. I’d like to address something different, something I call “visiting room sabotage.” It’s that thing that happens when you were hoping for a good visit and it suddenly goes south. It’s when, by the close of the event, both parties wind up hurt and angry and later feel guilty for sabotaging their own visit. It was the same when I was in prison, and it’s the same now. How often, for example, have you and your visitor overheard these selfish phrases coming from an adjoining table or booth? Maybe it was yours? “And on it goes. What happened? Where did all that anger come from? How did they wind up hurting the person they most love? Why did the visit have to end on such a sour note?" And on it goes. What happened? Where did all that anger come from? How did they wind up hurting the person they most love? Why did the visit have to end on such a sour note? Some visits are rightfully doomed from the beginning, as when a wife and a girlfriend show up at the same time. Others just seem to take an unexpected turn for the worse. I’m thinking of husband and wife visits, or those of parents and children. “visiting room sabotage. It’s that thing that happens when you were hoping for a good visit and it suddenly goes south." A lot of the stress has to do with the pain and frustration of separation. The prisoner is feeling it; the visitor is feeling it. Little things can suddenly get big. The time seems so long, and the candle of hope seems to be flickering. The whole thing is just so frustrating! The longer the sentence, the harder it is. But the basic problem is that two worlds have collided in a no-man’s land called the Visiting Room. And unless compassion and love override selfishness and self-pity, the results will be dismal. Following are 10 guidelines I would suggest after observing these visits for nearly 30 years in Christian prison ministry. Maybe one or two will be helpful to you. Verbally acknowledge that each other’s stress is real. You are temporarily living in two different worlds. Acknowledge the differences can create misunderstandings. Empathize, but don’t pretend to fully understand the other’s stress factors. Give each other adequate time to express your feelings. I recommend the one doing time allow the visitor to be the one who talks about his or her life first. The prison world is a small one; by listening to your loved one’s experiences first, it’ll help to pull you out of it a little bit. There is a time for everything. Agree together whether or not the timing is right to bring up certain issues. If one (or both) of you is not emotionally ready to handle something, you must mutually agree to put it on a back burner until the time is right.
. Identify the real issues. (But do this with gentleness and respect.) Most of the time, the surface issues aren’t the real problem. Sometimes the anger is rooted in unresolved conflicts. For example, family members may be hiding their anger over all the pain and turmoil the incarcerated one has caused, but be afraid to express it. Be kind. It’s not all about you. I once heard someone say: “Be kind to each other. Everyone is fighting big battles.” The shrink-wrapped world of prison life can cause one to become very self-focused. And, just as easily, the demands and responsibilities of outside life can cause visitors to become the same way. Make a commitment at the beginning of each visit that you will make no unreasonable demands upon the other. Stick by it. Ask for practical ways in which you can be of help to each other. Here’s a bonus guideline for Christian readers: (a) Keep a prayer list. (b) Read the same Bible passages on the same days and discuss them at your visit. Lennie Spitale is the author of Prison Ministry and a seminar instructor with Prison Fellowship.